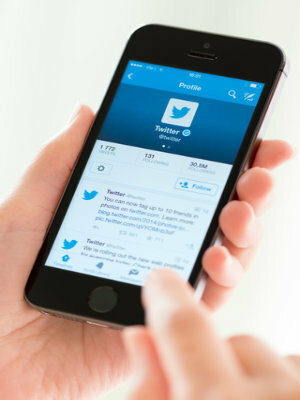 SAN FRANCISCO (Legal Newsline) - A Texas man is suing Twitter, claiming the company reads and intercepts his direct messages to other Twitter users. Wilford Raney’s suit against the social media giant in the U.S. District Court for the Northern District of California, San Francisco Division claims Twitter advertises that users can “talk privately” through its direct message feature, but Wilford claims Twitter intercepts, reads and sometimes even alters direct messages for a profit. The suit, which was filed Sept. 14, states that Twitter benefits financially by replacing a hyperlink with its own version of the link, increasing perceived value to third-party websites and political advertisers. Members of Citizens Against Lawsuit Abuse in Texas work to raise awareness about the negative impact of lawsuit abuse – that courts be used for justice, not greed. “Frivolous, abusive litigation affects us all by reducing access to health care, driving up the cost of consumer goods, and limiting job creation,” spokesperson Jennifer Harris told Legal Newsline. According to the Institute for Legal Reform, frivolous lawsuits can have far reaching effects. In New York City in 2011, for example, the city had to spend $550 million on lawsuit costs, which came to about $70 for every resident of the city, the Institute said. Citizens Against Lawsuit Abuse in Texas focuses their efforts on protecting the integrity of their courts, and protecting their citizens. Legal Newsline reached out to Twitter, but the company declined to comment as litigation is pending. Raney’s suit asks for more than $100 per member of the class, per day of Twitter’s alleged violation, or $10,000 per member of the class, plus statutory damages of $5,000 per class member, punitive damages, attorney fees and court costs.